With the popularity of her blog and books, Natasha Crain has exploded onto the scene as an important voice in the world of parenting and apologetics (and beyond!). Her story, which she briefly shares below, is both encouraging and motivating for those of us who deeply care about equipping and reaching the next generation. Natasha gave me the opportunity to write the foreword for her second book, Talking with Your Kids about God. In this book, she not only offers answers to some of the toughest questions kids ask about the existence of God, belief in God, and the character of God, she offers practical steps for how parents can teach these truths to their kids. Talking with Your Kids about God is one of the few books I consider a “must read” for parents. Natasha answered a few of my questions about her life, ministry, and writing projects. Enjoy! 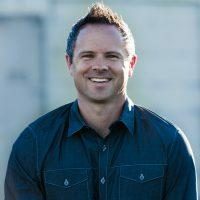 SEAN MCDOWELL: As a mom, what motivates you to care so much about apologetics? NATASHA CRAIN: When I first started blogging six years ago, I didn’t know about apologetics. I just wanted to write about Christian parenting in general. But after my readership started growing and people were sharing my posts online, my blog started attracting skeptics who wanted to challenge just about everything I said about Christianity. I had no idea how to respond, despite being a lifelong Christian. Honestly, I was pretty taken aback. How could I have grown up in a Christian home, attended church all my life, and never heard these challenges to my beliefs? More importantly, how could I not have any answers to offer? I started searching for those answers and learned what apologetics was. I buried myself in reading and fell in love with the beauty of all the evidence God has given us for the truth of Christianity. In that process, I read the statistics for the first time about how at least 60 percent of kids are rejecting their Christian faith by their early 20s. That was an aha moment for me. Research was showing that kids were leaving their faith because of the same kinds of objections I was hearing from my blog commenters. I realized that there’s a generational gap going on. Most parents are like I was before starting my blog—they simply don’t have any idea how strong the faith challenges are today. Their kids are growing up in a completely different world than the one in which they grew up and they’re unaware of how much they need to adjust their discipleship accordingly. So, to answer the original question, I am passionate about apologetics because I’ve experienced the force of today’s faith challenges firsthand through my blog and see what’s happening behind all those statistics of kids leaving their faith. There’s nothing more important to me than raising kids to know and love Jesus, and I’m convinced apologetics is a core part of that discipleship today. At the same time, I care about equipping other parents with this knowledge—helping to close the generational gap—and that’s why I spend the time to write my blog and books. MCDOWELL: You've recently written your second book Talking with Your Kids about God. What makes this different from your first book: Keeping Your Kids on God's Side? CRAIN: They have similar titles, but they’re very different books! Keeping Your Kids on God’s Side is a broad survey book of 40 important apologetics questions across the big areas of God, truth and worldviews, Jesus, the Bible, and science. It’s an “apologetics 101” written specifically for parents. Talking with Your Kids about God starts a series of books that digs more deeply into ONE of those big subjects at a time (no overlap in content with Keeping Your Kids on God’s Side). Talking with Your Kids about God focuses on 30 conversations about God, while my next one, Talking with Your Kids about Jesus, will focus on 30 conversations about Jesus. One particularly valuable feature of this series is a conversation guide at the end of every chapter that walks parents step-by-step through questions to ask their kids in order to facilitate conversation on that chapter’s content. The guides are written in a way that makes them adaptable for elementary through high school age kids. People have been using them for small groups, youth groups, Sunday schools, homeschools, and family devotions! Talking with Your Kids about God is a natural next reading step for those who read Keeping Your Kids on God’s Side, but those who haven’t read my first book can jump straight into this new series with no problem. What the books have in common is that they’re both written in an easy-to-understand, parent-to-parent voice, with chapters only about 5 pages each—totally reasonable for even the busiest parent! MCDOWELL: If you had to narrow it down, what are the top 2 subjects about God that we need to talk with our kids about today? And what are a few key points you make in these conversations? Objective evidence for God’s existence (outside of our personal experiences) exists! We aren’t called to a blind faith based on our best guess of ultimate reality. We can learn about God’s existence from the evidence in nature (e.g., the origin of the universe, origin and complexity of life, fine-tuning of the universe, and our moral knowledge). Because evidence requires human interpretation, however, people will always offer varied explanations for the way things are. But the question isn’t how many possible explanations there are—it’s what is the best explanation. The existence of a universe-creating, universe-designing, life-designing, and moral lawgiving God best explains key realities about our world. A second related subject is the relationship between science and God. Oftentimes, skeptics pit science and God against each other and Christians believe they have to make a choice. This isn’t the case at all, and it’s an important area parents need to be able to speak to. For that reason, the second six chapters in Talking with Your Kids about God address this. While this section addresses a lot, a key takeaway is this: The accurate interpretation of scientific data and the accurate interpretation of the Bible will never be in true conflict. When apparent conflicts arise, (at least) one interpretation is wrong. Which interpretation is wrong is a matter of debate even among Christians (chapters explain why Christians vary in this understanding). MCDOWELL: In terms of kids walking away from their faith, how important do you think apologetics is? CRAIN: When you look at the research, it’s clear that there are a lot of intellectual questions that drive kids away from faith (not knowing answers to basic apologetics questions). In many cases, kids simply don’t feel satisfactory answers exist. It’s truly a shame that many of them never had adults in their lives who could discuss those answers. But it’s also true that many people reject Christianity for emotional reasons. For example, they don’t like what the Bible says about morality, they think Christians are too hypocritical, or they don’t like the church. In those cases, a lack of apologetics understanding isn’t necessarily the issue. MCDOWELL: What practical advice do you have for busy parents and youth influencers who want to help kids learn to defend their faith? What evidence is there for God’s existence? Do all religions point to the same truth? What evidence is there for Jesus’ resurrection? After you’ve taught something in answer to each question (no matter how small! ), begin with the first question again and add another layer of understanding over the next few weeks. It doesn’t take a lot of time, but it does take intentionality. That intentionality also assumes that the parent is committed to equipping him or herself with some of this basic knowledge in order to pass it on.